the building on the left is in detroit. 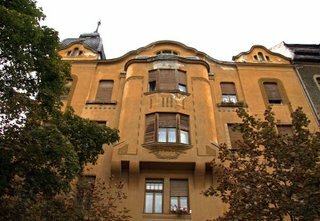 the building on the right is in timisoara, romania. both were built in times when design was magnificent. but the styles were devalued. by the time we reembrace them (click on the photos to see more), it is often too late. many of them have already been lost. 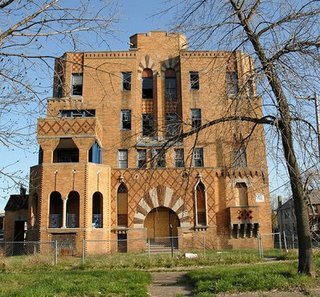 Thank you for the link to my blog (post on "Fabulous Apartment Ruins" in Detroit). I'm even more happy to find the lovely pictures here - fascinating subject, and you're doing an excellent job illustrating it.